Allow admin to restrict maximum and minimum order quantity per order. In some situations, the admin may want to restrict order quantity per order. The Magento product limit extension allows the admin to allocate the minimum/maximum number of products that can be purchased per order. 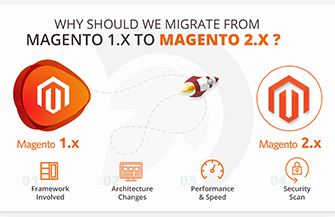 Our Magento 2 Cart Limit extension provides a complete solution enabling the admin to define order quantity with respect to the customer groups. 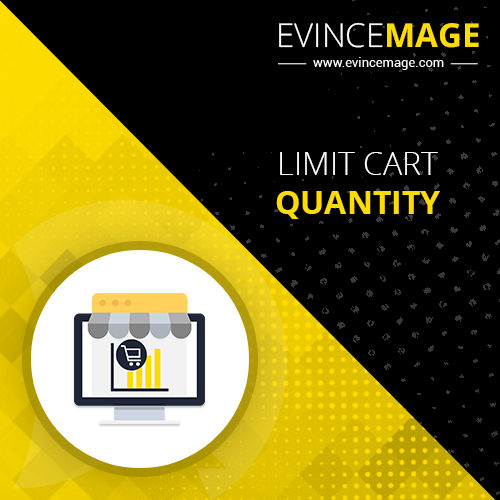 Our Limit Cart Quantity for Magento 2 allows the admin to enable or disable Magento product limit extension with the effort of one click. The admin needs to navigate to the “Configuration” section in “Stores.” That’s all and you can Enable/disable order limit Magento 2 extension from general settings. The limit cart quantity Magento 2 extension ease the process to assign maximum/minimum product quantity per order. The admin just needs to select the customer group and then assign minimum and maximum product quantity per order. Also, the Magento 2 extension for product limit allows the admin to allocate the min./max. product quantity per order on the multiple sets of the customer group. 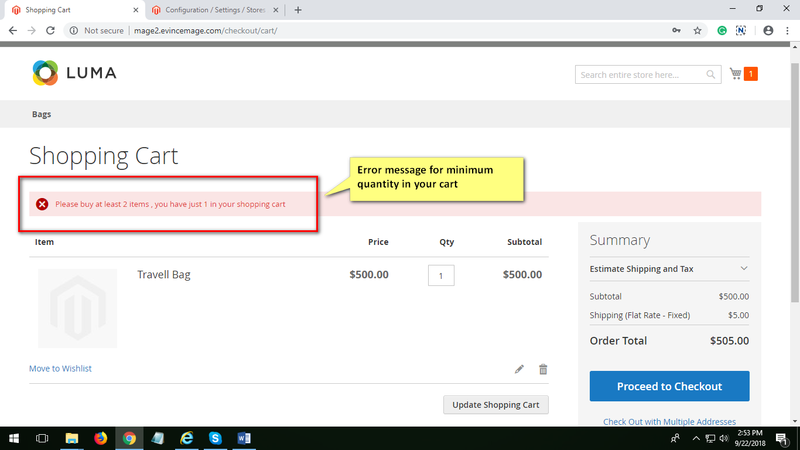 The Magento product limit extension allows the admin to provide a custom alert message when surpassing the maximum order limit or falling underneath the minimum order limit. This alert message provides a clear indication to the customer to either increase or decrease the order quantity.